Tapu Fini in game: 821 Who? Important notice! Pokemon Tapu Fini is a fictional character of humans. Tapu Fini (Japanese: ??·??? Kapu-Rehire) is a dual-type Water/Fairy Pokémon introduced in Generation VII. It is the guardian king of Poni Island. Tapu Fini has a black torso and light blue hair. It has a white headband-like marking on its head and a white v on its chest. To the sides of this V mark are two violet shell-like extensions from which protrude two arms with three fingers, separated in a way that would befit webbed arms such as those seen in Golduck. It has a fin at the lower front and does not appear to have legs, but an oval shaped platform of sorts on which it stands. Its eyes have light blue eyeshadow-like marks and are light cyan with white eyebrows of sorts. Its shell is purple with a fin on top and a horn—when closed, this shell resembles a swordfish. Tapu Fini is the guardian of Poni Island. It does not care much for humans, but is willing to help those who prove themselves worthy. It can create a thick fog that puts its opponents into a self-destructive trance; it uses this fog both to defend itself and as a test for people who seek its aid. It is able to create water that is said to purify anything it touches. 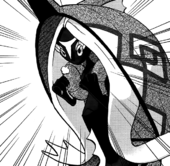 Tapu Fini is first mentioned in the Sun & Moon chapter, where Hala hears from the Seafolk that there have been recent sightings of it in their meeting about the guardian kings. The guardian king of Poni, it can control water. People say it can create pure water that will wash away any uncleanness. Moves marked with a superscript game abbreviation can only be bred onto Tapu Fini in that game. 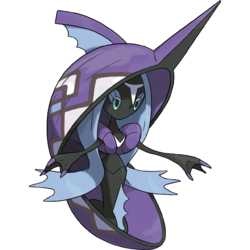 Tapu Fini's appearance when it closes its shell resembles a swordfish or a marlin. 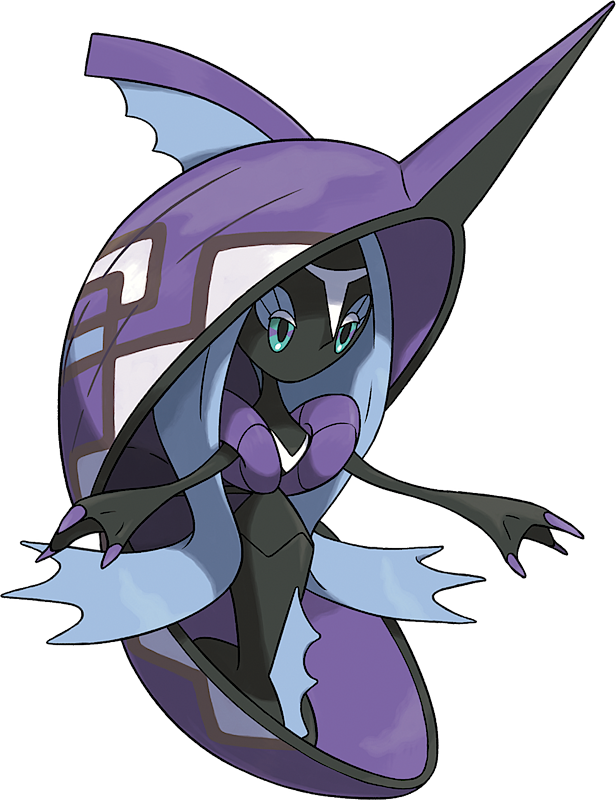 When its shell is open, Tapu Fini resembles a mermaid or Siren. Tapu Fini may be a combination of tapu (Hawaiian for sacred or holy) and fin. Kapu-Rehire may be a combination of kapu (Hawaiian for sacred or holy) and ? hire (fin).